Mediacorp has finally jumped onto the bandwagon and launched styleXstyle (Style by Style), an all-encompassing fashion community that allows you to explore users' OOTD, blogs, comment on fashion news and events, and shop Japanese brands not available locally. I am so glad that there is finally a legit platform for Singaporeans (and our South East Asian neighbours) to share our style and interest in fashion! There is the existing POSHISM platform that functions like lookbook.nu, catered to local fashionistas that is well and thriving, but Mediacorp has just got all the big guns needed to market this fashion community regionally, which will really put Singapore on the map of fashion. 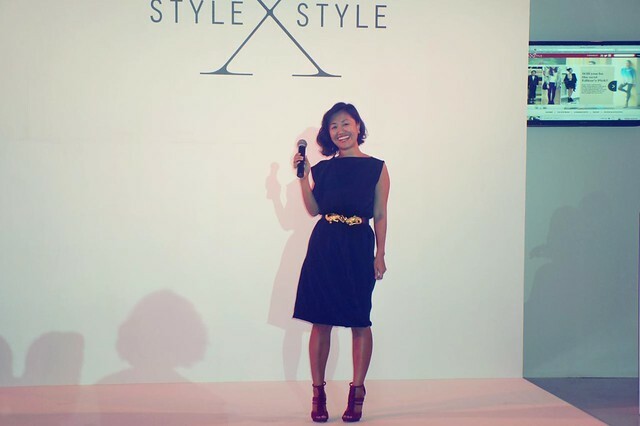 The party got started with a speech from Kim Reyes, editor of styleXstyle, looking really cute in a little black dress and vintage belt with gold crocodile embellishments. I've known Kim for some time now and she's really bubbly and a really nice person to talk to! 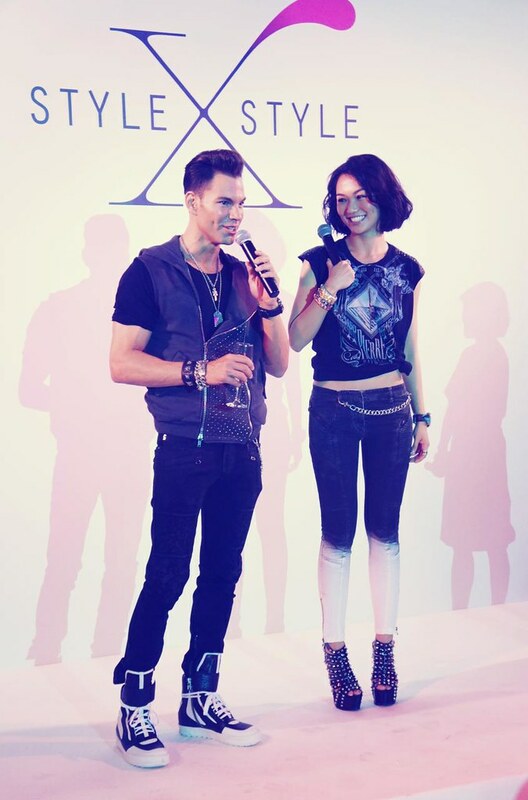 Style ambassadors and celebrity guest bloggers Bobby Tonelli and Joanne Peh got the crowd excited with a strut down the runway, before the real models came out showcasing designs of Saturday, Mae Pang, Elohim by Sabrina Goh and Ong Shunmugam. 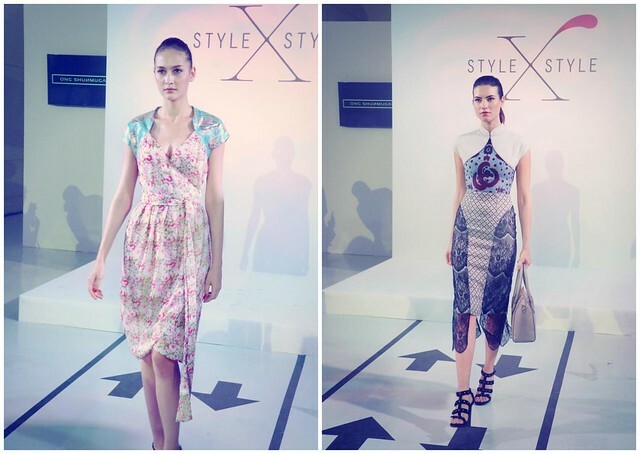 Amongst all, I still enjoyed Ong Shunmugam the most because she always brings to the table a really refreshing and distinctive aesthetic using traditional cheongsam cuts - mandarin collars, cap sleeves and figure flattering hemlines - with interesting print fabrics. 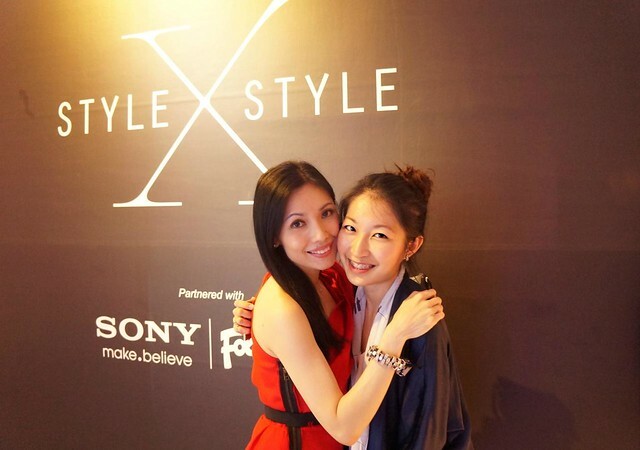 Sharon Au has kindly invited me on board as part of the 8 bloggers that will be regularly guest-blogging on styleXstyle's portal and she has been such a sweetheart! I wish I knew her earlier and on a more personal basis, because she is so sincere, genuine and considerate towards the people around her. She is the mastermind behind this fashion community and I will support her and the styleXstyle team in whatever I can do to make this community really take off.